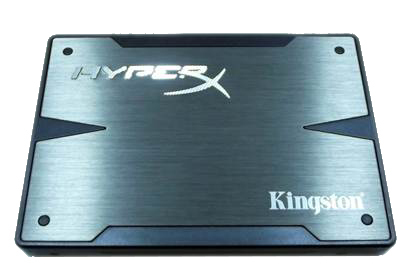 The Kingston HyperX 3K is certainly a great looking SSD, primary construction is very tough plastic with a textured finish and accents in simulated brushed alu, the Kingston logo is looking especially stylish in a radial brushed polished alu. 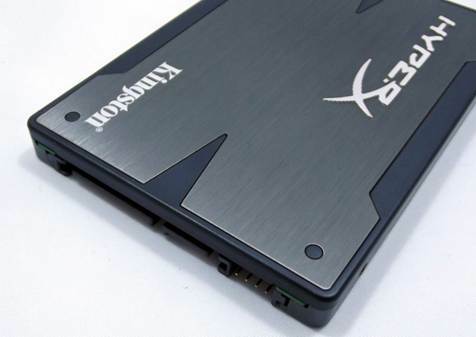 Kingston are clearly aiming to cater to high end enthusiasts who tend to put SSD drives on display in there systems. Plug areas are nice and clean, with very strong construction, some drives previously tested have proved to have a little bit of play or wobble in the contacts, nothing of the sort in the Kingston all contacts are very secure. 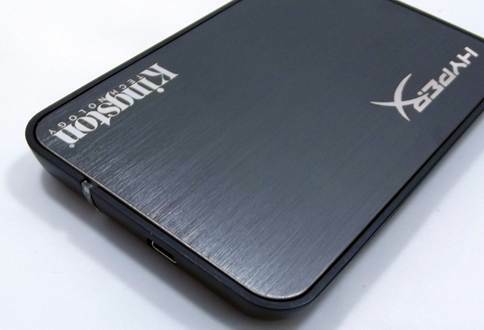 Included with the SSD is an external enclosure continuing the sleek looks of the SSD with more of the textured plastic and simulated brushed alu top plate. 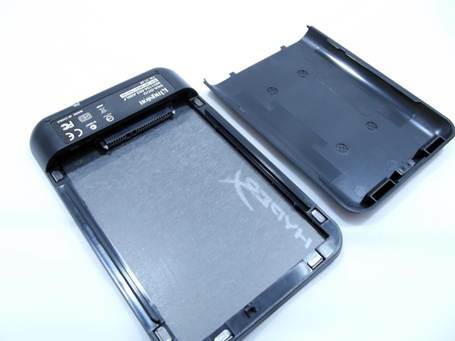 No space is wasted in the external enclosure with a very tight fit offering great protection to the SSD, and of course any 2.5 form factor SSD is compatible with the enclosure making this a great bonus extra for anybody who needs a drive on the move.